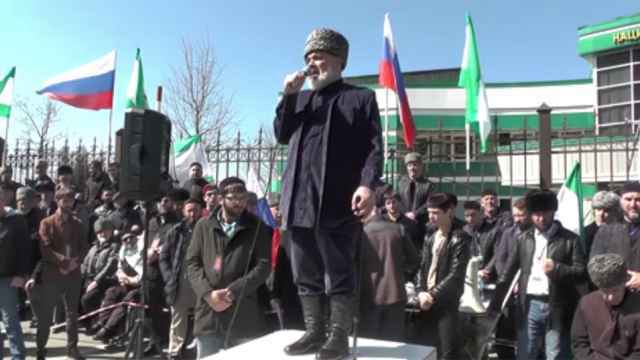 Russia’s republics of Dagestan and Chechnya have suspended negotiations over border delineations following months of public anger over Chechnya’s land swap deal with neighboring Ingushetia. 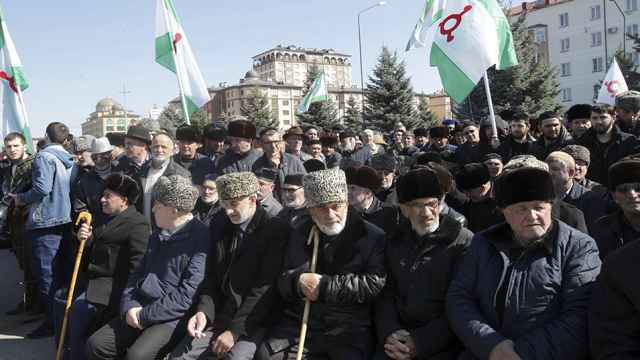 Protests reignited in the North Caucasus republic of Ingushetia last month to demand the resignation of its governor, who signed the land swap agreement with Chechen leader Ramzan Kadyrov in fall 2018. Dagestan and Chechnya have been involved in negotiations over their 400-kilometer border since the start of 2019. 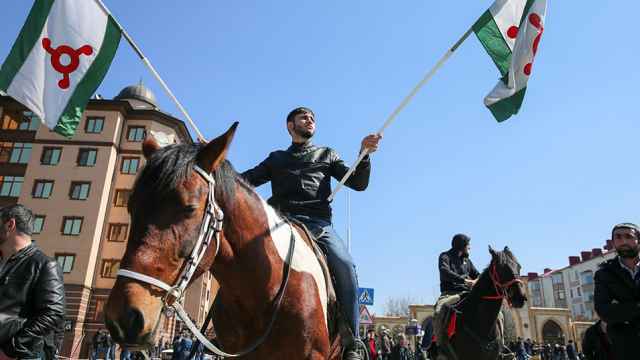 The Chechen legislative assembly announced on Tuesday that the border delineation works have been suspended, which its Dagestani equivalent confirmed. 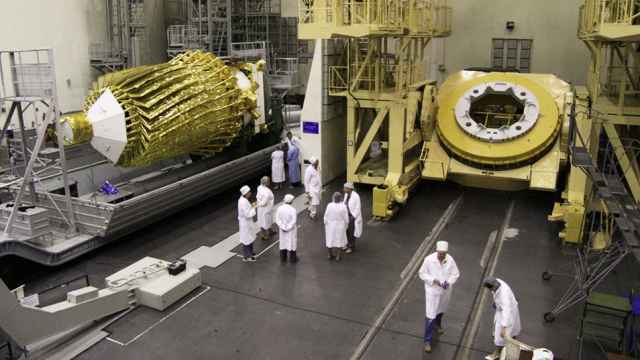 Neither legislative body said when the works are expected to resume. Vladimir Vasilyev, the acting head of Dagestan, had vowed in February to avoid a repeat of “the Ingush scenario” in ongoing border talks over eight disputed territories with Chechnya. In November 2018, a map appeared on the Chechen legislative assembly website showing a number of Dagestani territories as Chechen entities. The map was later deleted without explanation. 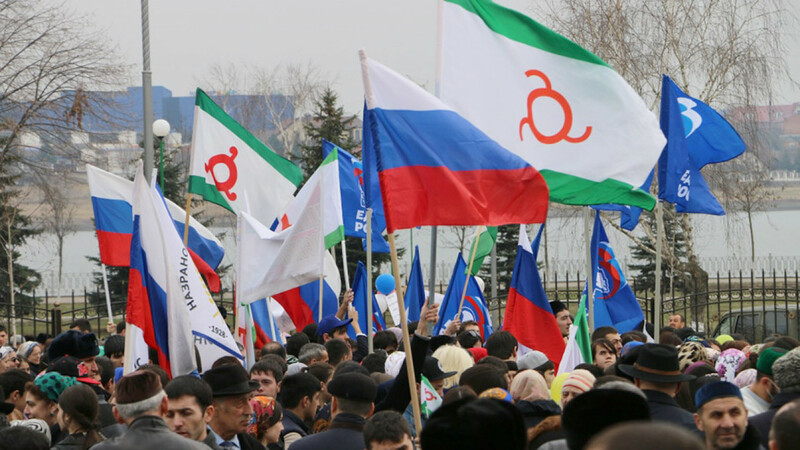 As many as 10,000 people protested against the deal which critics say amounts to a surrender of Ingush territory.